If you are interested in the benefits of acupuncture but are nervous at the thought of needles, Dr. Bret Mosher provides acupressure therapy as an alternative at his Poway, CA, practice. Also known as “needle-less acupuncture,” acupressure can provide the same benefits, using only specialized massage techniques. Patients can experience significant relief and improved quality of life from this gentle, non-invasive treatment. Acupressure is based on the same principles as acupuncture: clearing blocked energy channels, also known as meridians, through specific points on the body to restore the natural flow of life force, or Qi. The difference between the two practices is in the tools used. Rather than clear blocked channels by piercing the skin with needles, acupressure practitioners apply pressure with their fingers, palms, elbows, and so on. Although it does not directly access the channels, acupressure can offer equally effective results. The pressure can stimulate the body’s natural ability to heal itself by relieving muscle tension and promoting blood circulation. With greater access to oxygen, the body can better heal itself. The therapy can also trigger the release of endorphins, which help to block pain. It is important to seek treatment from a licensed, properly trained practitioner. Too much force or too abrupt an application of pressure can cause discomfort or bruising. Nausea and vomiting: Acupressure is often recommended to alleviate nausea associated with post-surgical recovery, the effects of spinal anesthesia, chemotherapy, motion sickness, and pregnancy. Arthritis: Caused by an inflammation of the tissues in and around the joints, arthritis is a painful problem which can severely restrict a person’s range of motion. The endorphin release triggered by acupressure can help promote anti-inflammatory effects and alleviate some of the pain associated with the condition. General pain: Many patients suffering from headaches or migraines, pain in their lower back, or post-operative discomfort report marked relief after undergoing acupressure therapy. Depression and anxiety: In addition to relieving pain, endorphins can trigger feelings of pleasure and euphoria. Consequently, acupressure can have a significant positive impact on a patient’s emotional as well as physical health. Affordability: Because no special equipment is required, acupressure is much more affordable than other complementary medicines. Convenience: The lack of special equipment also allows practitioners to provide therapy any time, any place. Customizability: Your treatment plan will be tailored to focus on your exact needs and energy force. No needles: While acupuncture is typically a painless treatment, many patients are uncomfortable with needles. Acupressure provides the same effects without the extra anxiety needles can cause. 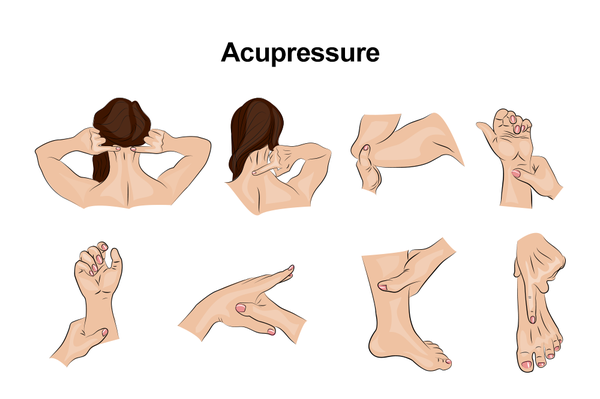 Low risk: Correctly performed by a licensed health care professional, acupressure offers considerable health benefits without the risks of drug-based or surgical treatment. A typical acupressure session lasts about an hour. Patients will lie fully clothed on a soft massage table while Dr. Mosher gently applies pressure to the targeted areas. You can work with him to determine the right amount of pressure to apply for comfort and effectiveness. If it is your first visit, you will need to fill out a health questionnaire before starting. Dr. Mosher will ask you about your needs, goals, and medical history to make sure that acupressure is appropriate. Here at Mosher Health, our mission is to provide you with the tools you need to achieve optimal health. Contact our practice today to schedule an appointment and learn if acupressure is appropriate for your needs.